The Solis Lacus album was recorded in April 1974 ("Remake" only) and May 1975 at Madeleine studio, Brussels. The Perspective album was recorded on January 28, 29, 1978 at Morgan Studio, Brussels. 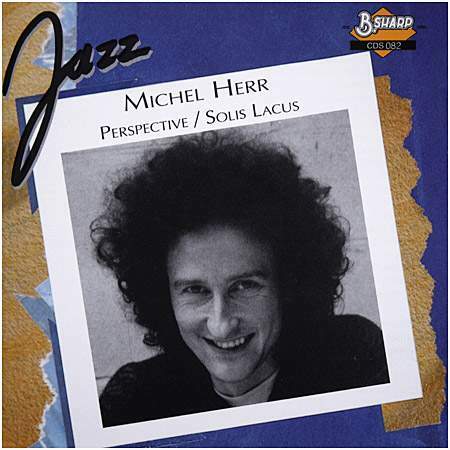 This album bundles on one CD two of the early recordings of Michel Herr as a leader :the LP Solis Lacus (EMI/IBC 4C062 96949 & B Sharp 1001) from 1975 the LP Perspective (B. Sharp 1003) from 1978. See also a photo galleries of Solis Lacus and a couple of photos of the quartet that recorded the Perspective album.